The annual process of crafting California’s mammoth state budget, a tedious and technical process for a state with nearly 40 million residents, allows lawmakers to pass last-minute laws to do things like pay for new state mandates and provide statutory language on bills enacted after the budget is signed. To the chagrin of some lawmakers and impacted groups, just days before an Aug. 31 deadline, state Democrats passed dozens of “budget trailer bills,” including some that appear to have nothing to do with implementing the budget. Late last Friday, Gov. Jerry Brown signed a trailer bill with potentially sweeping legal implications in Senate Bill 846. 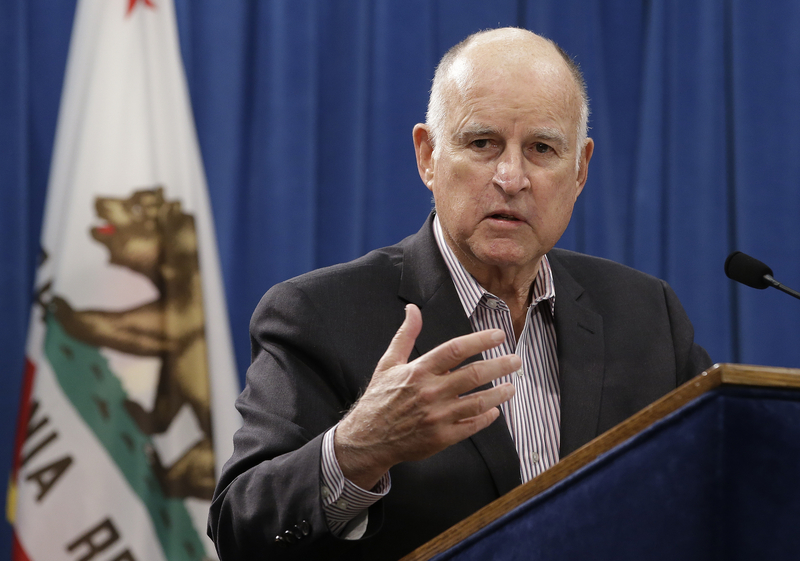 The measure goes into effect immediately and protects California labor unions from state lawsuits filed by employees seeking to recover fees that were once commonplace but recently deemed unconstitutional by the High Court. The Supreme Court tossed the long-standing union practice in a 5-4 decision in June. The court said the fees, which enabled unions to collect mandatory fees from nonmembers for bargaining and other legal expenses, violated the First Amendment. “We conclude that this arrangement violates the free speech rights of nonmembers by compelling them to subsidize private speech on matters of substantial public concern,” Justice Samuel Alito wrote for the majority in Janus v. AFSCME. “For decades, union officials have violated the constitutional rights of the very workers they claim to represent, and it is shameful that politicians in Sacramento are so beholden to Big Labor that they are now attempting to block a few years’ worth of those ill-gotten gains from being returned to those workers,” said foundation vice president Patrick Semmens in an email. Class action lawsuits attempting to recover fair-share fees have predictably flooded state and federal courts since the ruling, as the Golden State had 217,000 nonmembers working for or covered by a union as of 2017. One of the first lawsuits was filed in Sacramento County Superior Court in July by a class of California public employees. The class is suing California’s largest and most influential government employee union, the Service Employees International Union Local 1000. The Plaintiffs’ attorneys claim that SEIU 1000 and other California unions wrongly charged “millions if not billions of dollars” from nonmembers over the last several decades. On its face, SB 846 would exclude or limit damages against the unions in the pending state cases and prevent other union employees from filing new claims. Fortunately, says Semmens, the state law won’t impact cases filed in federal courts. “[The bill] cannot overturn federal civil rights law and the U.S. Constitution,” Semmens reiterated. Republican State Sen. Jim Nielsen, Vice-Chair of the Senate Budget Committee, has routinely criticized state Democrats over the years for their increased use of trailer bills. He says jamming policy decisions into budget trailer bills is unfair and deprives the public a chance to participate in the legislative process. The official driving force behind SB 846 is unclear as trailer bills are proposed by budget committees, not individual lawmakers. There are no listed sponsors on SB 846’s legislative analysis and neither the SEIU nor the California State University Employees Union responded to media requests about the bill. Furthermore, language regarding the fair-share fees wasn’t added to the trailer bill until Aug. 24, less than a week before it was passed by the Legislature.